Since 1973. 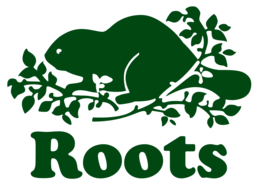 Roots Canada is an iconic Canadian lifestyle brand. Trending looks for men, women, and children of any age. Discover the latest in superior comfort with high-quality sweatpants, sweaters, outerwear, boots, bags and apparel. Shop the most comfortable sweatpants and more at CF Fairview Park in Kitchener. We're making room for more great summer styles. Take an extra 50% off* all sale items this weekend, in-store and online. One time only. *Some conditions may apply.